If possible, check to see if your neighbors have power. This will help CTEC determine whether the trouble is caused by a transformer serving your home or is more general in nature. Have your bill handy so you can give the dispatcher the account number or meter number shown on the bill. If the outage is the responsibility of the CTEC, there will, of course, be no charge. If the co-op responds to a call and it is determined that the outage is on the member's side of the meter, such as a blown fuse or tripped breaker, etc., you will be billed for a trip fee. 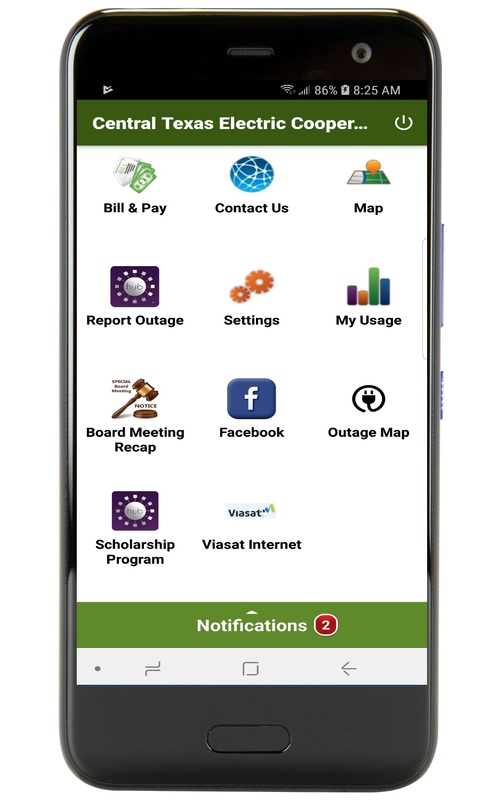 The CTEC SmartHub app allows members to report an outage. It is the fastest and easiest way to get outage information to our employees. To download click the link below!